Mainly white tennis skort with white undershorts but with stylish single black panel on the side. 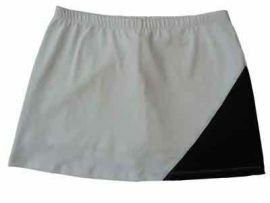 Elasticated waist, no pockets, length 15". Wear with the matching white/black Eva top also availabe in XL.